From the main entrance of Empire, go downstairs to the LG floor and walk towards the end. 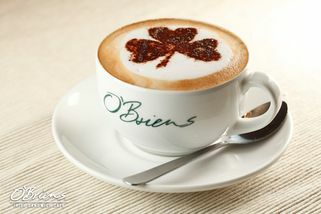 O'Briens will be directly in front of you, at the end. 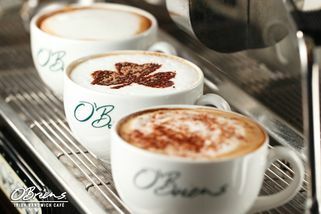 O’Briens cafes and restaurants have a very comfortable and laid back ambience—it’s the perfect place for you to kick back and unwind, or even do some quiet reading or light work while enjoying some coffee or sandwiches. The Empire outlet is located in the lower ground floor, right by the car park. It’s pretty small, but has a decent amount of seating inside. The first time i went in..i totally puzzled and dont know which one to choose...Thanks to their friendly staff, i manage to get a very yummy sandwich. 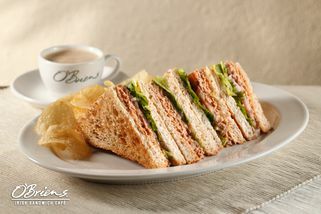 I get a chicken slice and other things(that i forgot..hehe)..but trust me..it's delicious..and i love the bread too!! And most of all..you can get a Wi fi and surf over the internet while you're having your sandwich there..I definetely will come here again! Went there and impressed by how friendly the staff were. Greetings, smiles and quick service. Had a couple of their signature sandwiches and they were amazing. Brought friends along and now they're hooked with the sandwiches. 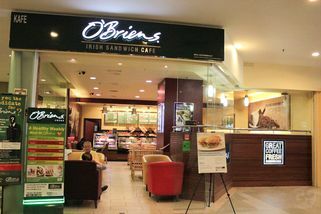 was having a huge craving when was at empire and remembered I haven't had O'Briens in a while now. 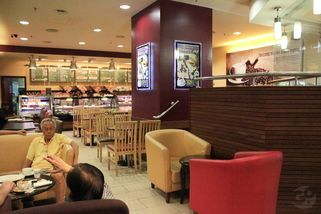 The prices are not that expensive cause they now have like a daily promo on different sandwiches, I only spent RM13 on set meal with a sandwich and an ice blended beverage, environment was very nice and most importantly the staffs were friendly helping me out cause I forgot you can choose toppings for your sandwich.